When we got home, I started thinking about ways to explore the constellations with them. I found an awesome book by HA Rey (the creator of Curious George) called Find the Constellations. I also saw quite a few constellation cards on Pinterest - check out my Science with Kids board to see some of them. My favorite are these from Lie Back, Look Up that includes information about each of the constellations on the back. We printed those, laminated them and stuck them on a key ring for future reference. Then I had a flashback to my own elementary school days and remembered making constellation tubes out of those black plastic film canisters. Since those are pretty few and far between these days (who uses film?!?) I thought we could make them using toilet paper tubes (one of my favorite things to repurpose). I found a few examples on the web, but no super clear instructions and since I did them completely wrong the first time, I figured it might be a good DIY project to write up in case other people have the same problems that I had. So, here it is. Let me know if you make them and have any feedback!! Step 3: Cut around the outside, dotted line around the constellation pattern. 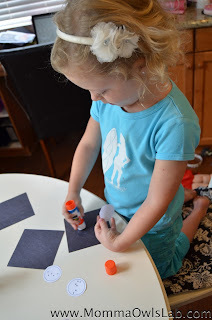 Glue to the center of the construction paper. Step 4: Place the construction paper on the piece of cork board (I doubled it because my cork was fairly thin) and use the giant push pin to punch holes where the stars are located in the pattern. Step 5: Trim around the square into a rough circle shape (it does not need to be perfect!!). Then make cuts from the outer edge of the construction paper into the center, but do not cut into the constellation pattern. This allows for easy attaching of the construction paper to the cardboard tube. I made cuts to divide the piece into 8 wedges - you could probably do more to make the fit even smoother, but I wouldn't do less. Prefold the wedges by holding the circle with your thumb on the edge of the white constellation paper and folding the wedge upwards. Step 7: Using the sharpie marker, write the name of the constellation on the side of the tube. Step 8: Close one eye and use the other eye to look through the tube at the constellation pattern. Start by sharing the name of the constellation with your child and have them look through the tube at the pattern. As they get more comfortable with the patterns, do it the opposite way and see if they can tell you the name of the constellation after viewing the pattern. Step 9: Because the tubes are fairly delicate, store them in a secure box. We chose to use a fairly thick shoe box. Also, because we only had enough rolls to make 4 constellation tubes to start, I put the extra patterns in the box as well so we could make more as we collected more empty toilet paper rolls. What a fun idea, Rachel! I don't have preschoolers anymore, but I think my 1st and 3rd grader would love this! (I actually think my 6th grader would enjoy it, too.) Pinning for sure! I love science activities. Thanks for sharing. Fun Life Time is talking about Educational Websites For Kids. This site, Fun 4 The Brain is full of science Reading And Math Games For Kids. We are talking about the freely and rest life and freshness for your lovely kids. We serve fun life time, Fun 4 The Brain, Educational Websites For Kids and we also provide games for kids here are avail kizi online games life is fun, Math Games For Kids, Activities To Do With Kids, and Brain Games For Kids. We teach science activities here are Brain Games For Kids, Science Activities. Games are availing Kizi Games, Science Activities For Preschoolers and fun 4 the brain. The Brain is a website of Brain Math of English, math and science. Plaster time is a great website for children, young people, parents and students that’s give you cute and best Quotes about Having enjoying. nice information !! i was looking for blogs related of Scientific Lab Equipment Manufacturer , then i found this blog, this is really nice and interested to read. thanks to author for sharing this type of information. Hi there! Thanks so much for this great idea. 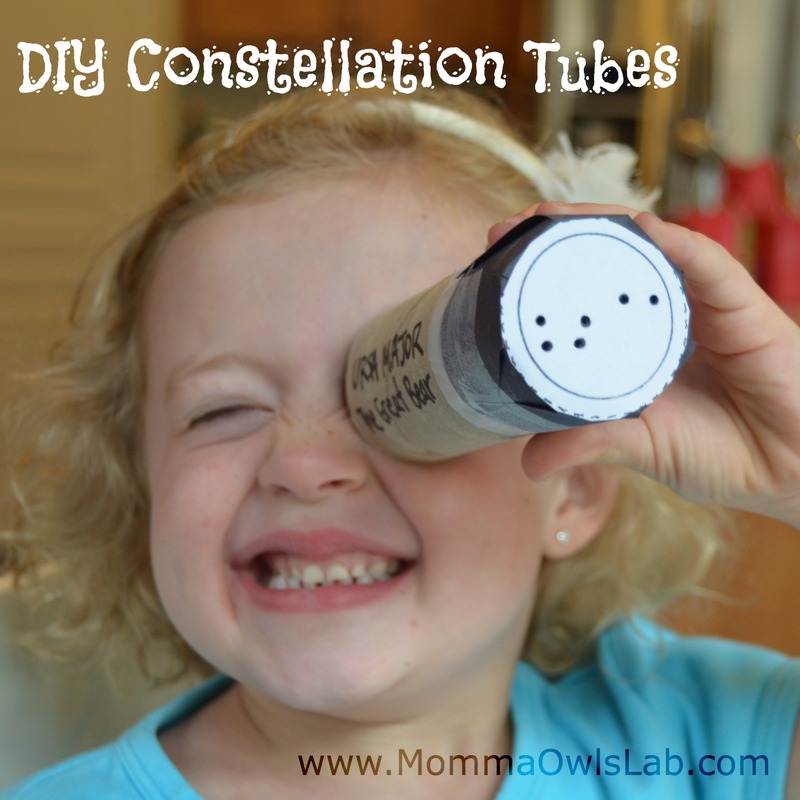 My daughter and I really enjoyed making these constellation tubes for her school project. One thing to note, if you want the constellations to look correct when looking into the tubes the images you provided must be flipped if you are punching the holes on the printed side. Thanks again for this great idea! Does anyone still have copies of the constellations. About.com is no more and I can't find a single copy of the constellations ANYWHERE!! eek! I really want to use these for a space class with my littles. Please help! i started a screen printing busniss and i cant find a site that sells just blank ceramic coffe mugs bulk . ive tried overstock and a few popular sites but cant find just blank ceramic i really dont care if there color or not just want to buy alot for a little . this Pakistani Escorts service previously they will be set up to come at the perfect time in your inn room precisely when you need them Islamabad Escorts. They are too small, so I enlarged them.